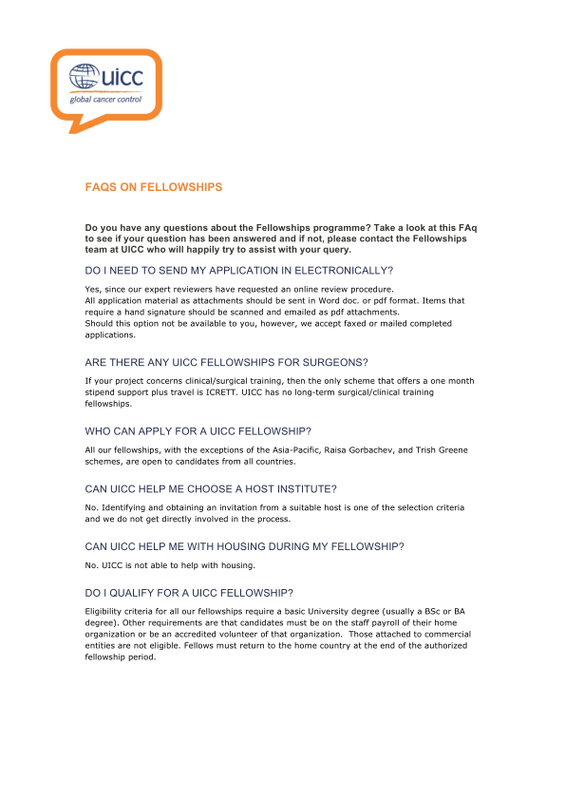 What are UICC grants and fellowships? UICC grants and fellowships facilitate the professional development of cancer organisations and professionals. Through seed-funding, capacity building and convening opportunties for organisations, UICC helps the launch of new projects addressing the needs of cancer patients. Through international fellowship visits, UICC provides healthcare workforce solutions, including the sharing of best practices and knowledge transfer. Seed funding for innovative projects on metastatic breast cancer. International visits to learn new skills in all aspects of cancer control.